This craft was super easy! I just cut out the Snuggle banner from the box, painted the back with black acrylic paint, then painted words with white acrylic paint. I chose the word Joy, to reflect the Christmas season. Then I punched a hole in the top and tied with red ribbon and viola! Easy peasy. So next time you're about to throw something away, consider what you could make with it! 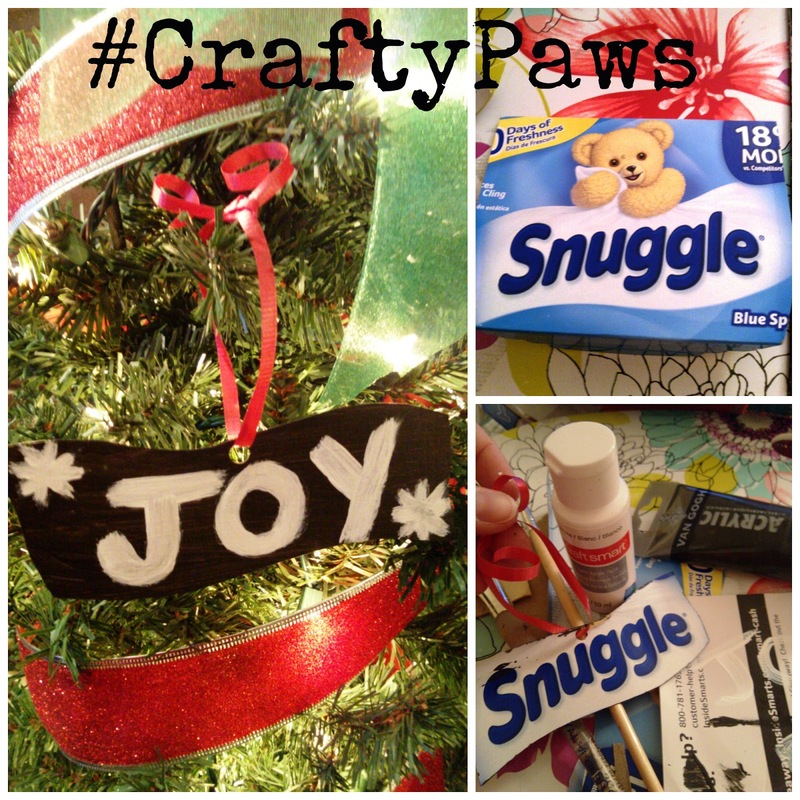 Disclosure: I received a free sample from Snuggle to facilitate this craft.